Halloween is a time many young people like to dress up like a Goth and try to be as scary as possible. But for Sylvia Lancaster, OBE, whose teenage daughter was murdered for being a goth, this time of year takes on a different meaning. Sylvia has dedicated her life since Sophie's death to combating hate crime and promoting understanding between people, and to challenging prejudice towards 'alternative subcultures'. In 2007 Sophie was attacked while walking in a park in Bacup, Lancashire, with her boyfriend Rob. Both were dressed in goth attire and while Rob survived the attack, Sophie suffered severe head injuries and died after being in a coma for 13 days. 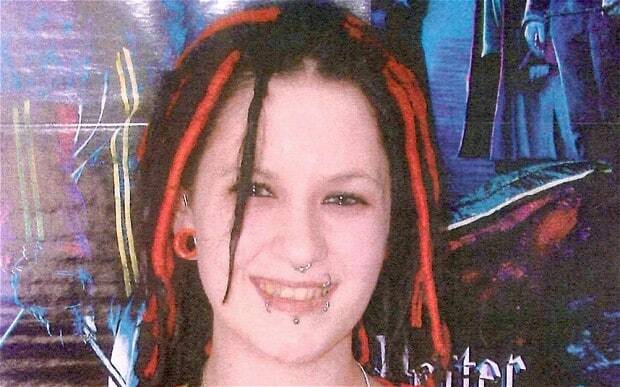 Two teenage boys were sentenced to life imprisonment for her murder. The Northern Quota caught up with Sylvia to ask her about her important charitable work. “Well, I set up the foundation because, firstly, it’s not right what happened, and you’ve got to make people aware of the situation. It’s about raising awareness about the intolerance and prejudice faced by alternative subcultures,” Sylvia said. The foundation has taken great efforts to tackle hate crime against alternative subcultures. It aims to persuade police forces to monitor alternative hate crime. The Sophie Lancaster Foundation also works closely with police forces across the country. In 2013, Greater Manchester Police became the first police force to monitor alternative hate crime. Since then, 12 other forces have followed suit. Aside from campaigning for police to monitor hate crime, the foundation works with officers in other ways. Earlier this month, the foundation was one of five organisations accredited by Lancashire Police as a third party 'Support To Report' service for the public to report hate crime incidents. The foundation’s success has led more forces to come to them for support. 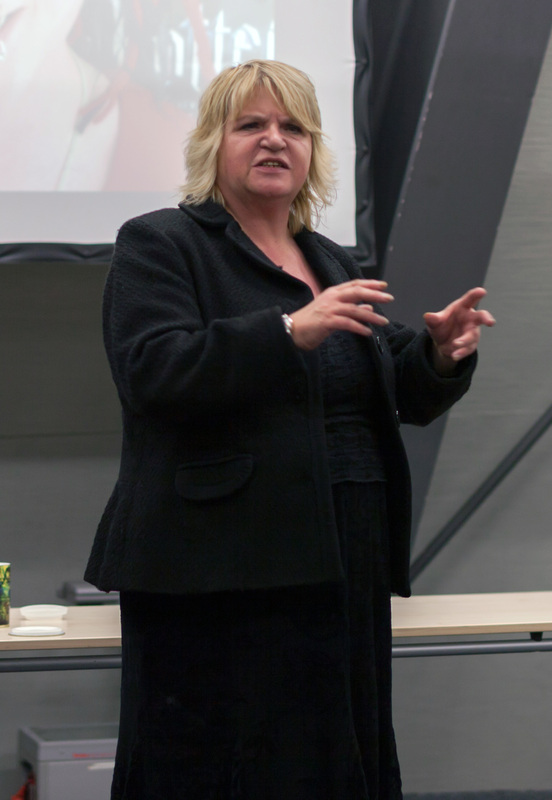 Sylvia set out a recent example: “Last week, I was doing a conference at Lincolnshire University and while there I met the guy from Lincolnshire Police, the hate crime officer. So we got talking and he said 'Could you do some work for us?'. That’s how it works." This past weekend, the foundation was a partner to Man Met’s Gothic Manchester Festival and the biannual Whitby Goth Weekend. I asked Sylvia why it was important to connect with young people. “It’s massively important. Young people are the next generation. They will be making laws and legislation. They will be going for jobs where they can make a difference. That’s one part of it. The other part is that young people play an important part within society. We have to look after them, and if we can do that by raising awareness, that’s fine," she said. When Sylvia goes into schools, giving presentations on Sophie’s story and alternative hate crime, the most important aspect is getting people “to acknowledge their own thoughts and feelings”. “But at the end of the day, we’re not the thought police. We’re not saying to young people, 'You haven’t got to do this'. It’s about dealing with your own issues, and if you don’t like somebody, that’s fine, just walk away. That’s an important message to young people,” Sylvia said. Yet, when talking about Sophie, it is important to see her as person. While being a goth was important to her life, she was not just a murder victim or a goth. She was a real person. When the foundation was set up, one of the aims was to give Sophie a lasting legacy. What has been its biggest success, I ask Sylvia? “Well, I’ve had an OBE, we’ve won awards and whatever, but you know, the most important thing, I think, is when people come back to me a couple of years later and say 'I listened to you and it changed my mind' and 'it’s changed the way I live'. That’s important to me," she said.